A retail Bitcoin ETF is proving as elusive as entrance into the Elysian fields. The SEC issued a scathing rebuke as to why they disapproved a Bats exchange rule change that would have allowed the COIN ETF to list. The reasons for denial given by the SEC display a fundamental problem with the market structure of Bitcoin. After reading the document, it is clear that the SolidX and Greyscale ETF applications are destined for the dustbin as well. Changing the thought process of a regulatory body takes years. A US-listed Bitcoin ETF will not be forthcoming any time soon. The COIN ETF daily Net Asset Value is calculated using the daily Gemini Bitcoin auction price. To create and redeem units, Authorised Participants (AP) must trade in the auction. The SEC’s major issue with the application was that the auction volume was insufficient to support trading. Moreover, self-reported statistics from the Gemini Exchange show that volume in the Gemini Exchange Auction is small relative to daily trading in bitcoin and to the number of bitcoin in a creation or redemption basket for the Trust. As of February 28, 2017, the average daily volume in the Gemini Exchange Auction, since its inception on September 21, 2016, has been 1195.72 bitcoins, compared to average daily worldwide volume of approximately 3.4 million bitcoins in the six months preceding February 28, 2017. Also, as of February 28, 2017, the median number of bitcoins traded in the Gemini Exchange Auction on a business day (when a creation or redemption request might be submitted to the Trust) has been just 1,061.99 bitcoins,129 barely larger than the 1,000 bitcoins in a creation or redemption basket. Gemini’s volumes are so low they barely can transact one creation or redemption basket. Unable to obtain liquidity on Gemini, AP’s would be forced to transact on other exchanges. The location of these “other” exchanges gave the SEC pause. US-based and regulated exchanges account for a relatively small percentage of global Bitcoin / USD spot trading volumes. The most liquid exchanges are based in Asia or Europe. Bitfinex, the largest Bitcoin / USD spot exchange by volume, is insolvent. These facts are troubling to the SEC. The agency worries that the majority of trading volume occurs on “unregulated” (read: Non-US domiciled) exchanges and this could endanger ETF investors. The agency cited inadequate surveillance of the major trading centers. Even though Gemini has a trust license and is overseen by the NYDFS, the SEC found that even Gemini’s exchange was not on par with national exchanges such as the New York Stock Exchange or Nasdaq in terms of trading rules and procedures. The Exchange represents that it has entered into a comprehensive surveillance-sharing agreement with the Gemini Exchange with respect to trading of the bitcoin asset underlying the Trust and that the Gemini Exchange is supervised by the NYSDFS. Additionally, the Exchange states in its comment letter that it “agrees that less liquid markets, such as the market for bitcoin, may be more manipulable, but believes that … such concerns are mitigated as it relates to the Shares of the Trust and trading activity on the Gemini Exchange.” As explained below, however, the Commission does not believe this surveillance-sharing agreement to be sufficient, because the Gemini Exchange conducts only a small fraction of the worldwide trading in bitcoin, and because the Gemini Exchange is not a “regulated market” comparable to a national securities exchange or to the futures exchanges that are associated with the underlying assets of the commodity-trust ETPs approved to date. In order to be in the running again, an ETF sponsor must demonstrate how the proposed venue for the trading of physical Bitcoin is regulated on-par with large established exchanges such as the NYSE, and has a significant market share globally. That will be almost impossible. If Bitcoin traders desired heavily regulated exchanges, they wouldn’t prefer trading on an insolvent exchange over one registered with various alphabet letter agencies. Many large Bitcoin traders trade Bitcoin expressly because the trading venues are less regulated. They believe the operators are allowed to focus more on the customer experience and provide exactly what traders desire instead of fluffing regulators. The absence of margin or other leveraged trading products on heavily regulated US-based exchanges means they will forever play second fiddle to Asian and European exchanges. Given the “America is the best” mentality of its national regulators, convincing them to allow an asset whose price is set by the “shifty Chinese” (insert the international boogiemen of the year) is a tall order. However, this is not a death sentence. The SEC and other organisations are puppets of the large vested financial players. At the point when Bitcoin is too large to ignore, and daily trading volumes are robust and healthy, the iShares, Vangaurd, and Spdr’s of the ETF fund management industry will sponsor a Bitcoin ETF. These heavyweights only care about generating fees. The underlying asset is an afterthought. When Bitcoin is large enough to support a healthy AUM that generates large management fees, they will get behind Bitcoin. Unfortunately the biggest problem with the Winklevoss’ application was their outsider status. The objections put forward by the SEC could easily apply to any number of currently listed ETFs. If the fund manager was one of the good ‘ole boys, the ETF would stand a chance of approval. The Investors’ Exchange LLC (IEX) applied and was approved to be designated a National Exchange by the SEC. This was not an easy process. IEX, written about in the Michael Lewis’ book Flash Boys, aims to level the playing field by enacting policies that equalise trading between low and high latency traders. The HFT lobby went into overdrive to dissuade the SEC from approving the IEX application. IEX gives retail investors a level playing field against HFT firms. Who doesn’t favor leveling the playing field for the grannies and grandpa’s. However, this was a very heated and drawn out approval process. 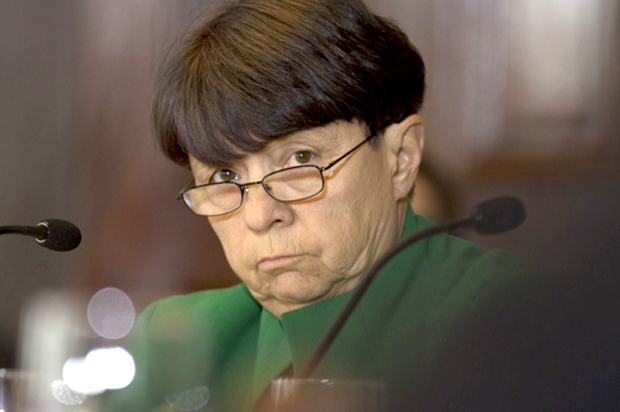 The SEC did the right thing in the end, but the big boys brought out all the guns. Imagine if the big boys wanted a Bitcoin ETF. They would get it.